Nokia X2, the last device launched before the Nokia X Platform was announced to be discontinued received a major update update which pushes the current software version to 2.1.0.11 and brings a bunch of much-needed improvements such as the Google Services support and a better mapping experience with the updated Here maps app. It seems Microsoft is working hard to give the users a satisfactory experience before the support for them is taken down. Camera – Capture fast-moving objects with the new Smart Mode, and create unique photos by using the Action shot, Best shot, or Motion blur options. Lock Screen – Make your phone more personal than ever with live wallpapers and new lock screen widgets. OneDrive & OneNote Added – Keep your life synced with OneDrive and OneNote. Get up to 15 GB of personal storage space on OneDrive, and sync up to 500 notes to OneNote. Updated Here Maps – Find your way anywhere with HERE Maps – get turn-by-turn voice guidance with a free global navigation license. Requires additional HERE Maps update from Store. Updated Nokia Store – Updated Store – new design to help you find content more easily, and better integration with 3rd-party stores. Calendar, Call Rejection, Parental Controls and Misc – Added local calendar support, call reject with a message, parental controls for Store, landscape support for mail and messaging, and auto-configuration of mail accounts. The update will be available Over-the-Air (OTA) and has an approximate size of 200MB. So make sure you connect to a WiFi network before downloading the update. If your phone does not automatically show an update, you can manually force a check for updates by going to Settings> About Phone> System Updates and tapping Check Now. It is unknown if the older Nokia X, X+ and XL will receive some of these improvements or not, but we’ll keep you updated if there’s a news regarding that. Try using the Nokia Software Recovery tool to update your phone. You can make use of the Nokia Software Recovery Tool. My Nokia X2 Dual Sim is showing that phone is upto date, It is not taking the 2.1 updates though time and date are selected well….How I can update it. Please Help! The worst mobile i have ever bought..! My x2 dual sim 2.1.0.12 ,but nokia is giving updated version 2.1.0.13, But the thing is i am not get my update through ota or checked manually.Tell me the solution. It is not a global update, instead region specific and it is probably not available for your region. Always saying You’re all up to date. How can i update my phone. i had not connect with google player aaah , my clash of clan was gone , i m in level-8townhall ,without google player aaaah , help help i m kicked out by google player ?????????????????? aaah i m feed up ,on this Nokiax2 Ds1013 mobile its ,can not supported google player why!why! i try to installed 8/9 times but its show me , your mobile not supported goople player ,aaah ,lolz man its any sensors in this mobile good ,bcz i buy this mobile to use google player ,not for other issues ,bcz i know nokia is a good product! but” its make me unhappy now ,i try to update my phone but here shows only this ” Your mobile alrady updated ,! its good n bed i don’t know , but i needed to support google player ,how???? tell me ! you guys?????? bcz nokia was your company ???? so develop it or though it in dasbin? i don’t care but my money are wasted to careless phone aaaaah! man its dam painfull ,? My Nokia X2Ds (Android) was updated to 2.1.0.11 …… but i can’t use gmail on this and so I am syncing my gmail on this but when I have a new Gmail from everyone don’t give me notification so when I have a new mail from yahoo (yahoo mail) from everyone give me notification. 2. Not supported any Google services example google store , google play And etc…. Try checking for an update using the Recovery Tool. my phone did not shown any updates yet.. pls do something for update.. even i have tapped the check option also.. pls reply via email.. Try using the Lumia Software Recovery Tool if that shows an available update. For very long time I am trying to update…The phone says your device is uptodate..Why this troble happening ?!! Please reply back on email. I have Nokia X2 2.1.0.12, but it is not working on google play services. it is not working on ola cab and taxi for sure which are using google play services. How to i install services into Nokia X2. Narendr sir I have bought nokia x2 few days ago.what should I do now root or update.what are the advantages of root. I am getting trouble to update my firmware ! My phone shows that ‘ your phone already updated ‘ ! Plz.. help me to update my device software to 2.1 . Try checking using the Lumia Software Recovery Tool. Yup …. this phone is the worst phone i hav ever had…..
this update isn’t better than nokia 2.0. camera doesn’t flash while focusing on dark and I’m facing a little bit problem with the store. it suddenly stops while downloading . Go to settings -> apps-> all apps -> find settings -> clear data….this will solve your problem. My nokia store is not working…help me please..what can i do? Google play service is not supporting some required apps are not working. Opera store doesnot support many apps. Guys which app i have 2 use to connect my nokia x2 in pc. No app is needed for File Transfer. Try using the Lumia Recovery Tool on your PC. It is probably not available for you product code. Try using the Recovery Tool on your PC. They are not supported out of the box. You need to root your phone and then install Play Store. BTW, HERE Maps are certainly better than Google’s. How to root my phone. Does it effect bad? I want install google play services , Play youtube , google play store…. Plzzz, suggest me as a best solution….. Updated vesion of x2 DS will support google play services???….. please tell me! Try after a few minutes. Im using nokia xl,,while im calling to anybody screen getting block..then im using power button.its not working..when opposite person disconnect the call then only im getting actual screen.unnecessarily im wasting amount alot..can u help me resolving this issue….!! Seems like an issue with the proximity sensor. Make sure it does not have dust or anything covering it. Why i did’t get notification for update would help me? There’s no system update showing up even when I checked :/ I don’t wanna try the recovery tool.. what else can I do? my phone is up to date.. 2.0.12.. i’m trying to root my phone.. i downloaded nokia tools by xda on my xp but the downloaded file is automatically removed saying that it is corrupt.. can u give me a link to download genuine nokia tools..
You should be able to use it. I tried UPDATE VER 2.1.0.13 through wifi , After complete 6MB Insllation screen showing to me nokia recovery mode 3e with selection option from volume button . please guide which option i have to select . there are 5- types i selected last one now my mobile hang and no response . I restart phone by removing battery ,its working normal as old version no update . how i can update last version ? If an update doesn’t show up, you need to use the Recovery Tool to install it. Doing this will delete all user data and apps. is this thing recovery tool safe? what should i do after downloading it? i have back uped the data will thi also back up my app data? 2) After downloading when I restart my phone it goes to recovery mode. 3) Not updating after formatting and restoring the phone. I can root this phone and install google play. Through (XDA forum )But after latest software update phone does hang because phone is rooted, now i can reset phone through nokia care. Reply if anybody using ver 2.1.0.21 faces this issue …. Nokia x2 update software support google play services. If I will update my smart phone Nokia x2 dual sim, then play store will be sorted???? No. Play Store does not work unless you root the phone. i go to settings, i check for update( 2G, 3G and even i tried on Wi-Fi), but it says your phone is up to date. but it’s still 2.0. Plz help me. Should be around a GB or more as the full ROM will be downloaded instead of a particular portion. Same is for the Recovery Tool. Hi.. Narender Singh..Thanque for your post..
i tried to update my NokiaX2DS (V2.0) with wifi, but it showed you’re all uptodate. so i tried update with lumia software recovery tool (V5.1) using USB cable. i showed that new updates are available for your phone Version 2.1 2.1.0.12 (file size 899 MB), I downloaded it and installed. While installing after some time installation failed and prompted Recovery or cancel, i Tried to recover but same message came, So I un plugged it and removed battery, after 2 minutes i Switched it on Then it installed 38 updates. some new features came like changing wall paper, and some apps. Now my phone working properly, But i’m afraiding that it may not work properly in future, because update was not done properly. It should work fine as the update was successful at last. In case you face an issue, just use the Nokia Care Suite. It is much better than the recovery tool in terms of its ability to flash the devices. Unless your phone is rooed, that just won’t be possible. Can i play clash of clans with my present village…or u say does it support google play..?? Nokia X 2 Tools Program allows Nokia X 2 owners to install Google Play Store + Google services and also to gain Root access.The process is very simple, you just need to connect the smartphone to PC and to run the .exe file.Then press 1 to install the drivers, and after that press 2 to get Google Play.If you want to get Root-access-press 4. Before all the actions to make sure, that you are in developer mode and USB debugging is turned on.To activate the developer mode go to Settings-phone, and tap the About 5 times to ‘ Software version ‘, then go to Settings-Developer options-USB debugging. After completing all I tried install google play services from 1 mobile market store . Now Its working all very nice . I have nokia X2 with latest version 2.0.0.11 but it dose not support google play services, google play store, and also has not camera smart mood….so how to support those functions with this new version……. I did it. but it’s stopped by nokia x2. I need to run gmail app bye google inc. it required google play service. Sounds like a bug. If it doesn’t cause any functionality issue, I’d ignore. Help! My updation is a complete failure ..google services hasnt been installed properly due to the connection…my nokia X2 now is in its software version 2.1.0.11..what will i do so that i can access google services properly.. do i have to go back to version 2.0 and just update it again..if so, how is it done?? Hope someone could help md..
& the internal storage is 1.19gb ….. So does installing the update increase the storage space or what………. Update will not increase the storage on the device. Don’t keep your hopes high as there is only a rare chance of that happening. It should be free for most, but individual Care Centers do have their own policies. So, can’t say with surety. It is pretty easy if you install and play a bit with the Care Suite. 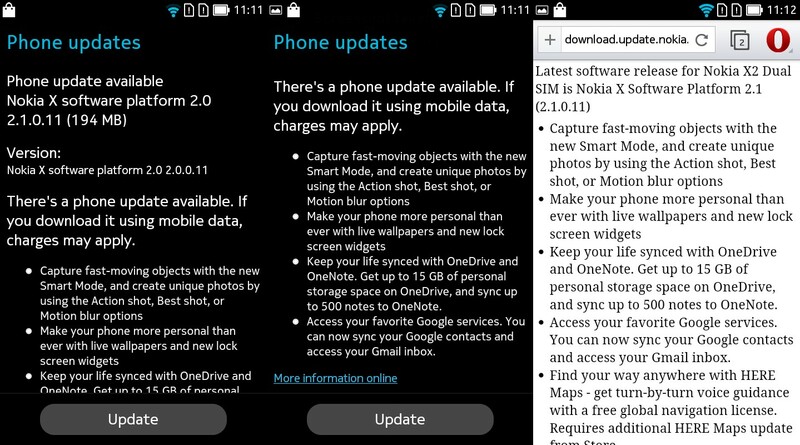 If an OTA update is not available, your best bet will be to use Nokia Care Suite to manually flash your phone, provided an update is available for your product code. I updated my fone to version 2.1.011 but google play services are not installing saying not compatible with your fone, so what is wrong??? If the 2.1 version is available for Download, it should be very possible. If it is not, no. i bought nokia X2 two week ago.there is no update found on the software update settings.what can i do? Nokia Care Center is the only way. Else use Nokia Care Suite at your home pc. @oliveira…. I got my phone rooted on 2. 1.. But as I understand it play services is already there in the 2. 1 update right? the thing is that when I try to install Google play music it installs while I does say that Google services framework is needed.. It installs okay but I cannot log into my account when I enter the app.. So I tried using the Nokia x tools as many others and now my phone is stuck in boot screen… But ill figure that one out.. My question is.. How did you get Google play and Google services on it? And does Google okay music also work for you? Thanks..
finally got the updated x2 via nokia care,,and camera is surprisingly cool.also live wallpaper supports..bdw lets talk abt the root..there is a prob abt rooting…coz we wont get free servicing aftr rootin…ri8? Good morning to everyone. Great news!!! My Nokia X2 running 2.1.0.12 version with product code 059V779 is now rooted by Nokia X2 tool V1.2 and yesterday i installed Google Play and Google services on it!!! hi, thanks for your positive post!! how did you install google services on your x2 after rooting, i have tried copy and pasting into the system/app folder with no luck. Is it only for devices? Good morning. Nerender, if there are any ideas that you want me to test on my X2 so that i can help you and all X2 users, i’m available for it. my device is not getting the update.. it shows ur device is up2date but still showing version 2.0.. pls suggest how to manually flash the Newer Firmware using the Care Suite? sougat mondal, if i were you i’dd keep it in 2.0. Hello once again guys. I use external2internal app to swap between internal memory and sd on my XL and i tried using it on X2 but it does not work. Read somewhere that It’s an app not compatible with android 4.3 because of the vold file. Is there any app so we can install our big apps directly to sd? Thanks and keep up the great work. My new NOKIA X2 (RM1013) with firmware version 2.0.0.11, I want to update, but when i checked for software update it shows “You’re all up to date” but it already firmware version 2.1 available via FOTA then why didn’t get the update. I am from india or it has update not available for India now? It is available, but just as others, you’d be needed to manually flash the Newer Firmware using the Care Suite. Nokia has always had issues delivering OTA updates properly. Probably 059V779 started shipping directly with 2.1 or else Navifirm failed to keep record of the former version for the same. Unfortunately, there is no other tool available to download older firmwares. Maybe searching can get you direct links somewhere, but I doubt. I sure will 🙂 . And i’m really hoping we’ll have acess to google services and Playstore to. Now i own 3 beautiful Nokia phones. N9 64gb, XL and now a X2. Nokia forever!!! hello narender singh is rooting up my nokia x2 is a safer choice or it may damage my phone? Won’t damage it if you know what you will be doing. 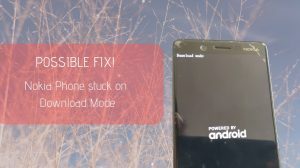 However, rooted phones are generally denied a service uinder warranty, so bee sure to unroot it while taking it to a care center. I brought a Nokia X2 on 2nd Oct but yet i am not able to update my device. Is the updates are available in India yet?? They are, but as a typical Nokia issue, a lot of devices just won’t receive it OTA. Visit a Nokia Care Center to get it updated. Nokia Care Suite should be able to do if you do refurbish using the Open Product option and choosing No Connection. I have not tried it on X2 personally, but it works like that on Asha and Lumia series. Just for safety, also download the firmware for your present product code before beginning as in case the other one doesn’t work, you can quickly return back to the original Indian version. wt what’sp problm solved in this mob.?? 4 days ago I purchase a nokia x2 still it is riunning on 2.0 platform .It does not show update for 2.1.I check manually but it does not show update for 2.1. Visit a Nokia Care center and if an update is available, they will flash your phone with the newer version. Do backup all important data from your phone first. Can nokia x2 be successfully rooted without any problems? Yes. The rooting went fine for almost everybody 🙂 Don’t do the Play Store installation. why Nokia XL doesn’t support live wallpaper? ?although “live wallpaper picker” apps preinstalled in it…..
and “Sound Recorder”also doesn’t support. I’m very worrying…in these cases. Geting sick from this mobile wht nokia is thinking no goolge play and they dont have apps much ….. still a boring cell phone bttry tyimg is zero … app run by its self …. no back ground image … just a black screen … just u can change lock screen trying to root it …hope it will help …. I am sorry it is in fact a long thread i have just remarked 😀 thank you for reading it. Well i am happy to report that i made it work again. You should know that the X2 is rooted now. So, i tried firing up that program again on the computer on the hope of getting a heavenly revelation. Nothing happened. I tried all possible known human solutions (probably i missed some). In the end i was so pissed i just went radical war-style cursing Nokia and Microsoft. went to the phone Settings> accounts> google > Remove account. Hi guys. I got this phone yesterday, moved from an S3 Mini and i am not disappointed yet. Though i had an issue with understanding what this phone is Android/Microsoft/Nokia?seriously …. It connects to all but belongs to none! Well, i started the phone it asked me for a Hotmail login, i did, it was smooth and i could see my emails then a SOFTWARE UPDATE message popped out and i did update it before touching anything so it was updated and restarted with the 2.1.0.11 software version . Fine, Next step i went to the store to check an app Cubie Messenger i used on the Samsung. Didn’t find it, and the tragedy started. tried it and it works. NB: I use adblock on chrome, and Avast antivirus. Nothing detected as a virus. I run the program (after enabling USB debugging mode and connecting the phone to the computer via that regular USB cable) It says on the site it is ENGLISH. Well it is Alient but i followed the instructions on the website; says 1 for drivers, 2 For google Play … it worked perfectly, phone rebooted and really no problems. I then found Google play installed (Upond starting it, it asked me to get the Google Settings app, i got it and everything was ok). It not only worked but i could also install from the pc just like the galaxy phone! So up to this point; 1. Google Play Installed and WORKING. 2. The phone is rooted and i can access root folders with Astro manager, and i have SuperSu 2 installed. Now, as I got the X2 with a new phone number, i threw my old one and i reset the Samsung Galaxy to factory settings. Then on my X2 i cannot acceess the store anymore! Youtube works, Gmail works but the Store is just connection time out. I tried all possible solutions but nothing seems to work. Well thanks for reading and suggesting solutions guys. Otherwise for rooting i found that link very good. and Now you know that you can run Google play on the Nokia X2 DualSim. That’s a long long comment and no doubt you still made me read it. You have a good writing style and applause for that. Now coming to that tool, I did write about it on this blog a few days back. So you probably downloaded the Russian version and an English version however does exist if ever the author on that post paid attention while linking 🙂 Not an issue, but Play Store is somehow just not working for anybody. I see a bunch of users complaining that the Play Store would work at the max for the first run and as soon as you restart your phone, it will just pop up that timeout thingy. IDk if things have changed with a newer version though. Good to know that you’re happy with your device, but sadly MS is not going to let Google Play work on these device. They are not Google certified and hence can’t run the Play Store/Services. The better solution would be to root it and then install the Google services/Play Store. rooting is not a problem, but in 2.1 update, u can brick ur phone if u install google play. Use Data Package Manager or else Navifirm. You’ve only pressed for rooting na? AFAIK, only installing the Play Store would brick the phone for which I’ve left the warning over there. Rooting works fine. To recover the phone, you will be needed to use the Nokia Care Suite. Sir, my Nokia X2 (non-rooted device), has software version 2.0.0.11. An update came for 2.1, i downloaded it, after downloading the it says “Can’t check you update” and process finished, and now by checking for update it says your phone is updated, any idea? Have you by chance received the features from the update? 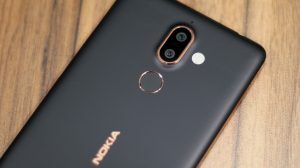 It might be yet another case of a failed update (usual with Nokia) and you will bee needed to reset your phone using the Care Suite or by bringing it to a Nokia Care Center. I downloaded the update but my phone is stuck at the booting stage. Pls what do I do? Probably the only way to recover in such a case is the Nokia Care Suite. But we can’t even expect good low light shots from this 5MP camera 🙂 Thanks for your nice comment, ASEF. And I have to restart without updating anything. Could you solve this problem for me pleaseee. I am not sure. Maybe root access is the cause? I am not sure what that Status code 7 means. Maybe it checks for root? New update of Nokia X2 does not support google play store, gmail app, hangouts, google drive etc. Its only support gmail contacts, google maps smoothly. The special thing is that whatsapp is fully working now…. Yep we know about WhatsApp. Have you tried sideloading the Play Store APK? I thought it were just the Google Services that were not letting it run. I have tried to run Google Play apk, it’s not running. I also have tried to run Google Drive, Google Docs, GMail app, and separately Google Play services, but there was no success at all. Try checking for updates using the Nokia Software Recovery Tool. I am also facing the same problem. however, where shall I find the Nokia Software Recovery Tool? I tried using nokia software recovery tool but after using it to download the latest update, my phone got hanged at the snokia welcome screen! Then I took it to nokia care but I dont know what they did, now they are saying and I am also seeing that my phone is dead! Please help! I dont want to lose my brand new nokia x2 already!!!! Currently I am downloading the Nokia X2 RM-1013 firmware via datapackage manager and after that I am going to flash it using nokia support tools. Please tell me whether I am doing the right thing or not and if not please suggest me a remedy!! Didn’t Nokia Care offer to repair your phone under warranty? Make sure you download firmware for your product code only. Well maybe Nokia Care is the last resort in some places where technically sound people work, however, the place where I live, I dont think they are expert enough. So I took the matter in my own hands, downloaded the correct nokia X2 firmware by Nokia Data package manager and flashed it using nokia support tools 5.0, and guess what, my phone arose from the dead and now it is working fine!! I always knew that there were no hardware problems in my device only software problem but Nokia Care guys, after killing my phone, said to send it to the factory for repairs for about 20 to 25 days!! I now have the latest firmware 2.1 installed into my device and everything is working smoothly. I would suggest everyone to not use Nokia Software Recovery Tool to download any Nokia original firmware, its always best to use Nokia Data Package Manager to download the correct and authorised firmware and then flash the device using Nokia Support Tools in Nokia Care Suite. Maybe Nokia Care is the last resort in some places where expert people work but the Nokia Care where I went, I dont think they were expert enough to solve my problem. They said that my phone is dead and that it needs to be sent to the factory for repairs which would take around 20 to 25 days! I always knew that there was no hardware problem in my phone, only software problem and so I took the matter in my own hands and downloaded the latest Nokia X2 RM-1013 firmware by Nokia Data Package Manager, and then flashed my “dead” phone using Nokia Support Tools of Nokia Care Suite, and guess what? My phone arose from the dead and now its working smoothly, moreover it is running on the latest 2.1 platform! I would suggest everyone NOT TO DOWNLOAD OR RECOVER your firmware using Nokia Software Recovery Tool, its always best to download the firmware using Nokia Care Suite. All we need to do is to download the firmware by Nokia Data Package Manager of Nokia care suite and flash the device using Nokia Support Tools of Nokia Care Suite, simple! Is the x2 available here in India? Nokia it seems just made an half hearted attempt in the form of x series. Not yet, but it is expected soon. 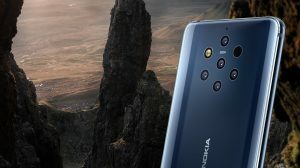 Every Nokia employee associated with the Nokia X2 (whom I know) is saddened on the fact that Nokia X2 is not going to get as much attention as the first gen devices, even though it is much better than them. They (MS) are terminating the Oulu site where most of the X2 guys were employed.